Pluscon circular stands for circular connectors to use in industrial automation. Whether the requirement is to transmit analog or digital signal or to transmit electrical power upto 150 A at 630 V per contact this product spectrum has the wide range to cater and provide the instant solution. 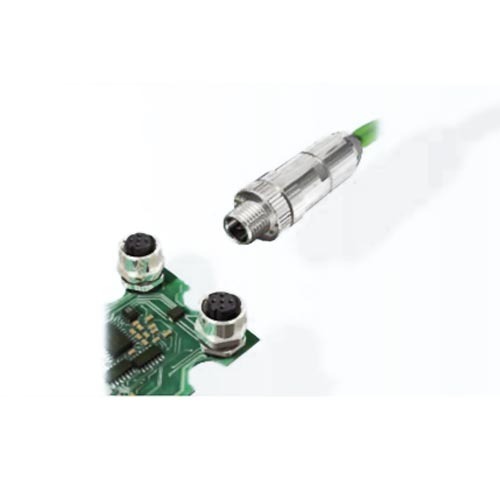 The overall spectrum serves the entire range of circular connectors for industrial applications. of sensor/actuator device connection technology in the industrial sector. The 5-way selection option provided by the connection technology offers fine-tuning for specific applications.